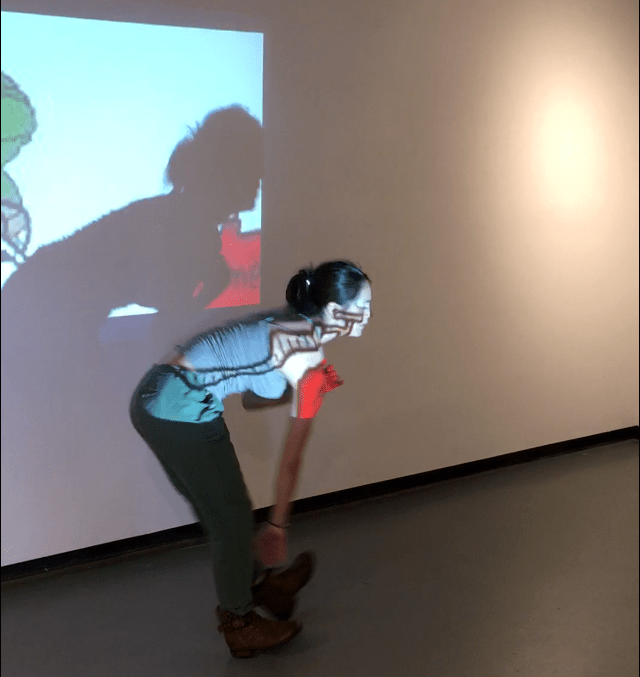 My student Toria Painter performing her own choreography in the CSULB School of Art’s Werby Gallery in response to a video projection in Carmina Correa & Vanessa Olivarez’ The Meme Show group exhibition, 1 March 2017. 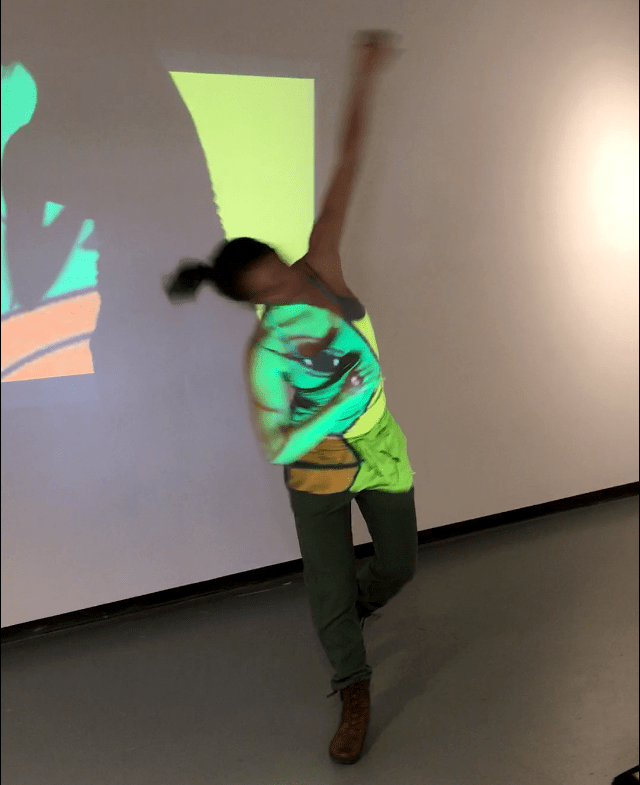 This week my artist conversation happened through movement and light. 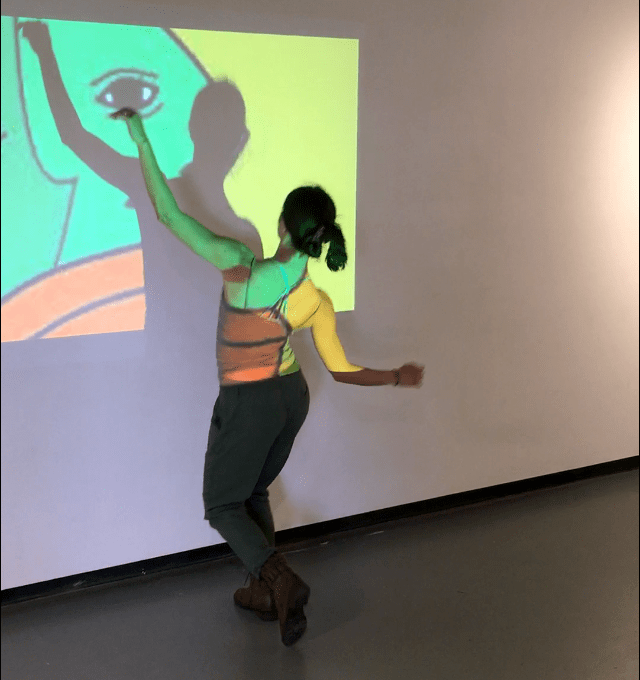 I was inspired by the use of projection in Carmina Correa & Vanessa Olivarez’ group exhibition and used it as a source to generate a story through dance. 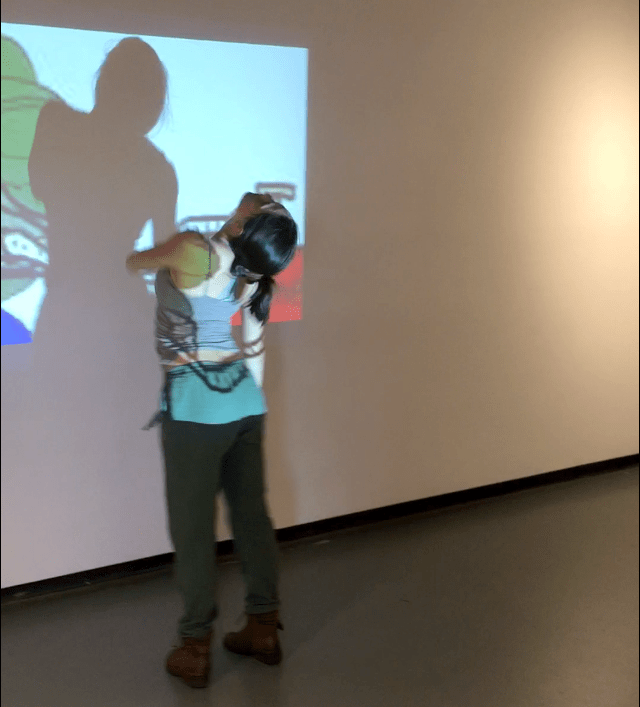 I performed my story in front of several fellow classmates, and used the background noise and the music from the artwork to create a rhythm. 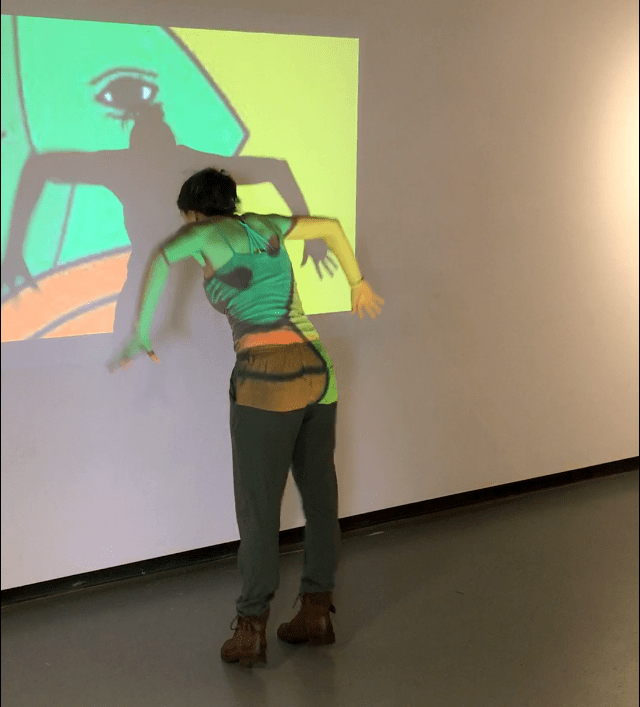 Meanwhile the light from the artwork created images of color on my body.